Vintage is taking it's show on the road to Calgary to hit up the Alberta Winter Classic. 2010 Baseball show, not the most flattering uniform but I was pregnant too ok? Remember how I told you about my "thing". 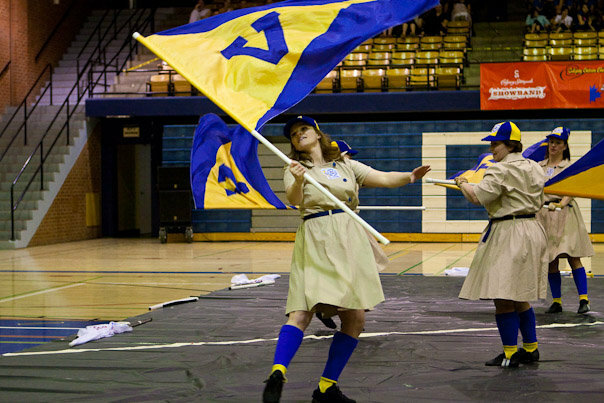 The one I found at 15, colorguard. Well, I still haven't let go. 8 years ago a bunch of us old experienced folks in town came together to relive our youth. At the time we had no expectations of what it would become but here we are, still going strong. We make a point of having as much fun as possible and not taking ourselves too seriously. Our "rehearsals" consist of equal parts spinning, dancing, design and gossip. Our shows are meant to be entertaining, not cutting edge. 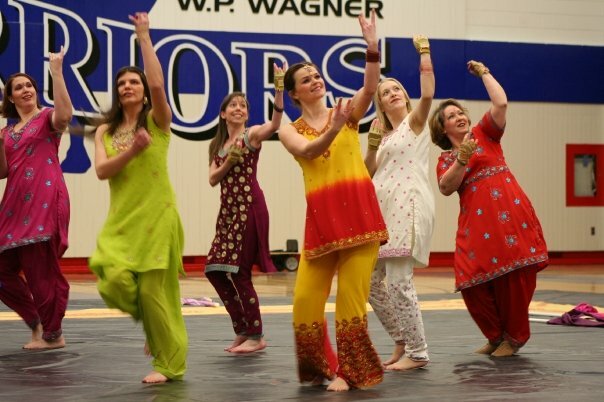 2009 Bollywood show, one of my favs. If you're in Calgary this weekend come check out the above mentioned show. If you're in Calgary next weekend come check out Arts in Motion. If you're in Edmonton on the 23rd come check out Spin and Win. I have wanted to see your shows for years. Please, Please, Please post videos of your past shows. PLEASE!!!! !